When facing hazardous environments requiring the use of respiratory equipment, you want the best, most dependable parts available, which is exactly what you'll find being offered here at SPF Depot. 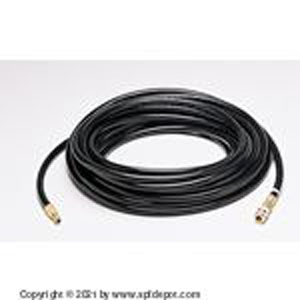 The air hose and fittings sold in this category include both OEM parts, such as the Allegro 9920-01A low-pressure breathing air hose assembly, as well as the SPF Depot brand replacement part, which is identical for all intents and purposes with the exception of the cost. The SPF 9920-01A sells for less than half. Both are designed to work with the Allegro full face mask model 9901 that comes with the 9200-01 and 9200-02 one- and two-person SAR systems. 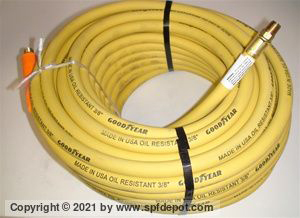 Air supply hose is available in both 50' and 100' lengths, manufactured by Allegro and also by Goodyear. 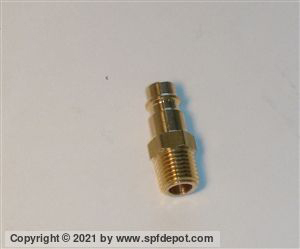 Air hose coupler units are NIOSH-approved OBAC quick connectors. 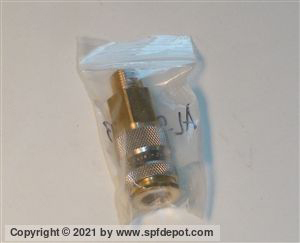 Replacement air hose connector parts are also available here.